As a therapist I have always found it hard explaining to my customers what is a facial serum for and how it can help my clients get the most from their facials. To me “a serum is the antibiotic prescribed by your therapist.” This is the intensity of a product that will work at a much deeper level on the skin. Giving you a much quicker and instant result from a product. The institute facials we offer in the salon have these insane ingredients in them so your serums will prolong the benefits at home and give you a much longer result with your facials and skin care routines at home. 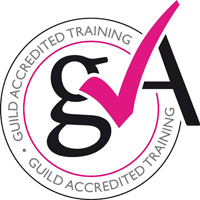 If you would like a complimentary chat about how Sothys facials can help you achieve amazing skin then please get intouch. Which is your favourite Sothys Facial ?? If you have never tried one of the extensive range of Sothys Facials then you do not realise what you have been missing. We have 7 specialised treatments for all skin types designed to leave your skin looking at its best and feeling even better. We have highlighted 4 of our most popular facials both above and below. Why not book an appointment and find out more about these fabulous treatments. 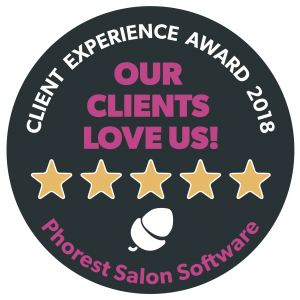 Best of all included in the cost of your first facial at About Face is a FREE, private Consultation during which your skin will be professionally analysed. What you wish to achieve for your skin will be noted and the therapist will then choose which facial is most suited to you. 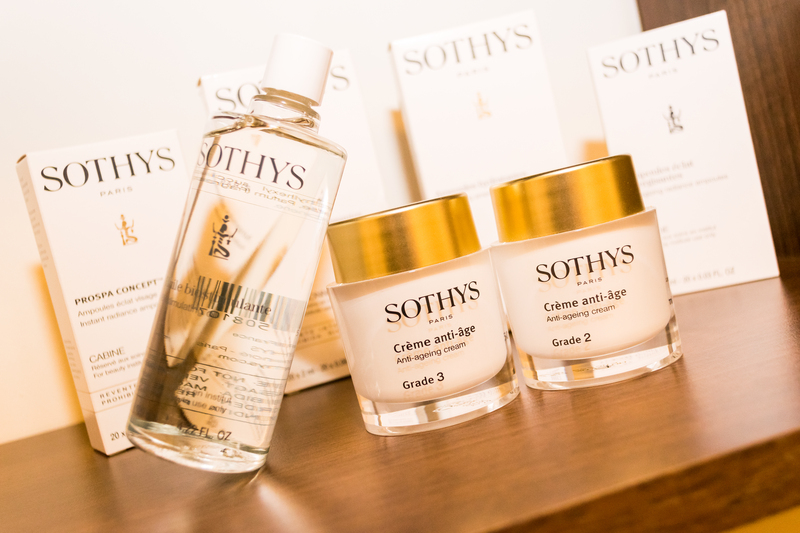 She will prescribe home care products from the Sothys range to enhance the benefits of your facial thereby maximising your investment in your skin. A complete treatment to Soothe, calm, maintain and protect all naturally sensitive or temporarily sensitised skin types. Combining plant extracts and the exclusive use of SPA™ Thermal water taken deep from the Belgian Ardennes region. This water is famed for its unique purity and mineral content providing a soothing ‘healing’ action to reduce all signs of redness, inflammation and discomfort associated with sensitive skins. This treatment complete with the use of our unique cooling massage porcelains is clinically proven to reduces signs of sensitivity by up to 25% in less than one hour. A course of 1 -2 treatments per month is recommended for skin experiencing a Sensitivity ‘Peak’. Just like the seasons our skin changes. 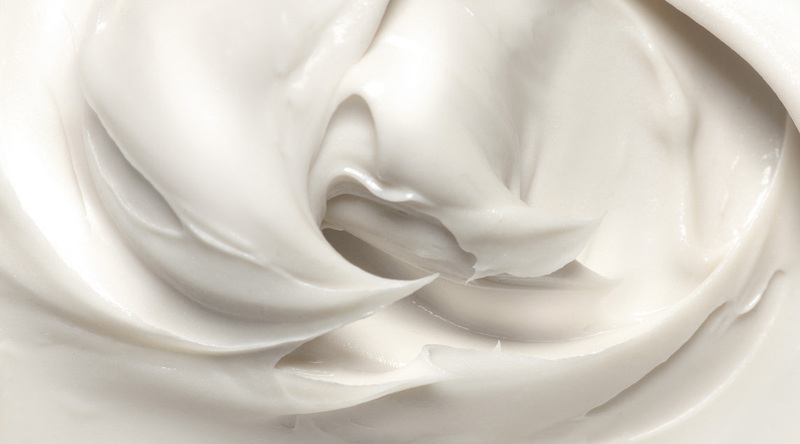 Sothys have created the Seasonal facial as a reflection of this change. Launched Twice yearly with new active ingredients these treatments will oxygenate, hydrate, smooth, brighten and protect the skin from the elements. The Ultimate detoxifying and Energising treatment for male skins to protect against pollution and daily aggressions such as shaving. Using Volcanic Rock, an extract naturally rich in Magnesium, this treatment will aid the skins natural protection against the environment and premature ageing whilst boosting energy levels to relieve tiredness and restore skin tone and radiance. A Prescriptive facial to maintain and protect all skin types. Helps to preserve the beauty and strength of the skin and maintains a natural healthy glow. The treatment is customised by your beauty therapist according to the concerns and needs of the skin. REDEEMABLE when purchasing three or more sothys homecare. A complete treatment to maintain and protect the beauty of the eye contour. Combining our exclusive High protection eye complex derived from plant stem cell cultures and our unique ‘Massage porcelains’. This treatment will help to combat tiredness, dark circles, puffiness and reduce the appearance of wrinkles*. *81% of panelists tested noticed a reduction in wrinkles after the 1st treatment and 100% satisfaction in the reduction of puffiness after 3 treatments. A double action peeling treatment for all skins concerned with lack of Radiance, Tiredness, blemishes, scarring, pigmentation, fine lines, wrinkles, flaky skins and rough, uneven skin tone. Using a micro-dermabrasion exfoliation and Glycolic acid peel, this treatment will deeply resurface the skin while our Cosmeceutical complex and Oxygenating actives will remove all particles of pollution and deeply repair and protect the skins deeper layers to provide you with a smooth, healthy and Glowing complexion. One Treatment per month is recommended. Not Recommended During Pregnancy or for any types of Sensitive or Reactive Skins. Our Intensive Hydration treatment provides concentrated active ingredients that have been specially selected to stimulate all key mechanisms of skin Hydration. With a 34%* increase in hydration still present one week on from the 1st treatment and 37%* improvement on the overall radiance and comfort of the skin this programme is designed to re-educate the skins natural hydration process giving you long – lasting results against de-hydration and dryness. 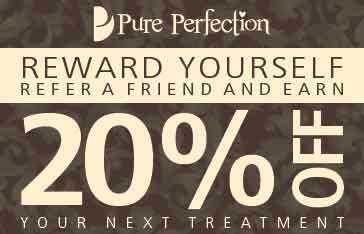 One week only at Pure Perfection Barrowford, we would like to offer new and existing customers to come along and try treatments on our price list with a 50% discount week commencing 2nd May. So why not take advantage of this amazing offer and try something you have never had before and indulge in a little me time. Explore our beautiful salon with three floors of heaven. 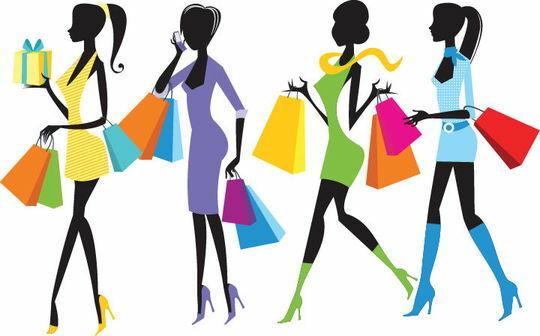 Enjoy and browse our website for any treatment details and prices and simply take 50% off. 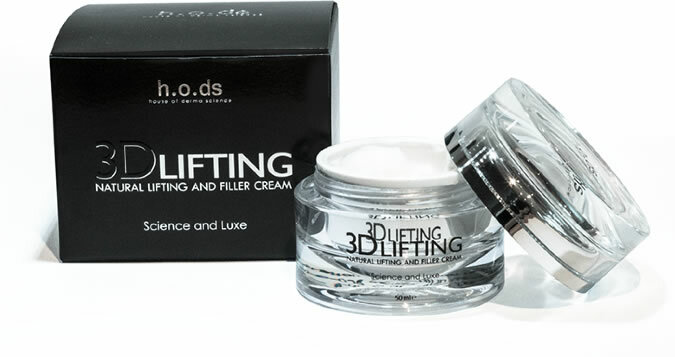 3D Lifting is Sweden’s fastest-selling face cream, and it’s now available in the UK. Packed full of the most expensive and luxurious skin-loving ingredients and 99.9% organic, 3D Lifting cream melts on touch, hydrates and nourishes your skin and reduces the appearance of even deep wrinkles. It’s all thanks to Ultra Filling Spheres™, which capture 20% more water and plump skin up to 4 times better than previous generations of spheres in other face creams. 3D Lifting Cream is available at all three of our salons, please feel free to call for a complimentary sample. Well, supposedly spring is round the corner but there is still a distinct chill in the air, which can play havoc with our skin and general health. Cold temperatures, an A to Z of storms and the bracing wind can leave you thinking you’re destined to have sullen, dry skin and frizzy hair – but it doesn’t have to be that way! These top beauty tips for all seasons, especially the colder months, will help you stay glowing and gorgeous – no matter what the weather! The Christmas party season is well behind us, so now is the time to dose up on the good stuff as we head towards the warmer and often dreaded ‘dare to bare’ months. In winter, it’s likely we will feel less thirsty but it’s still important we get the recommended amount of water each and every day to help keep ourselves – and skin – hydrated, inside and out. In addition to drinking plenty of water, herbal teas, diluted sugar free fruit drinks, why not try clear soups as a tasty way of topping up your water levels and flushing out those dreaded toxins. By the summer months, your skin will be glowing, gorgeous and cellulite will appear less obvious or non existent – believe us, you’ll be glad you topped up your H20 consumption. Also, why not try juicing? It’s a quick and easy way to load your body with essential nutrients. Our previous blog is full of tasty detox recipes, so why not give them a go? SPF is always necessary, even when it’s cold outside! You may think that just because it’s cold outside, that sun protection is not needed. But that is not the case as UV rays are still potent even in the winter months and can still cause sun damage. Try switching to moisturiser and/or foundation which have built-in SPF to adopt a fuss-free way to incorporate sun protection into your daily routine. Your lips deserve to be luscious all year long! If you’re feeling self-conscious about a dry, flaky pout then try an exfoliant on lips to get rid of flaky patches and as tempting it may be, fight the urge to constantly lick your lips as it only dries them out more. Try a lip balm which is both moisturising and natural and doesn’t include any drying ingredients such as camphor and menthol, which tend to worsen a cracked, inflamed mouth. There’s nothing more beautiful than a natural glow and did you know that certain foods can really help? Try foods such as oily fish like salmon and tuna (high in omega-3 which help plump up skin’s collagen production), spinach and avocadoes (high in vitamin E, which protects skin from UV rays and cell damage) and vitamin C-rich foods like tomatoes and citrus fruits (they’ll help keep wrinkles at bay). Sugar won’t be doing any favours for sallow winter skin, so get snacking on seeds and nuts for a zinc boost, essential for preventing rashes and unwanted skin irritations. To keep your skin in tip top condition all year round, why not try the our NEW hydra facial which can give you amazing results transforming tired, sallow and dull skin, into skin that looks beautiful, soft and supple. 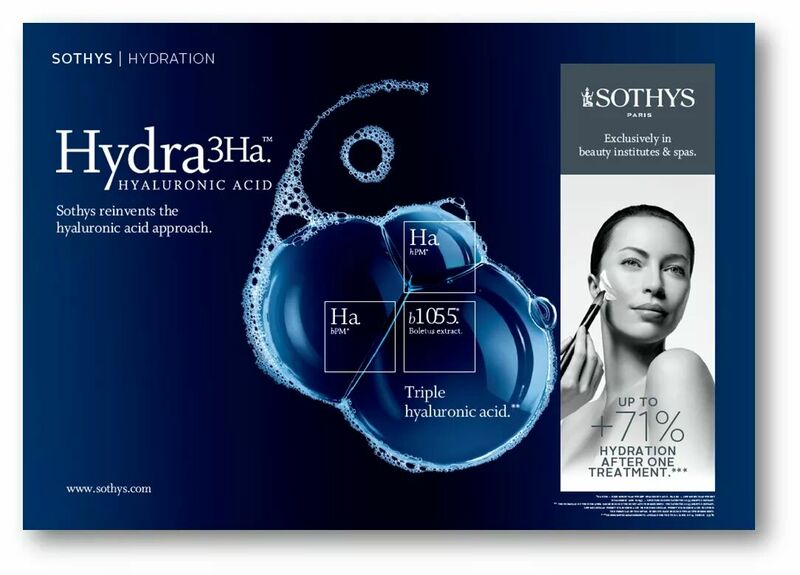 THIS is the hyaluronic acid approach to rehydrate your skin. Pores, we’ve all got them – but sometimes they can appear more prominent on our face, making skin look less radiant and not at its best. 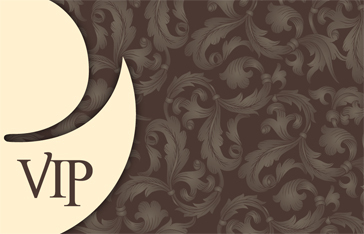 It’s therefore no surprise that here at PurePerfection. Firstly, what exactly are pores? Pores are tiny openings in the surface of the skin where sweat and oil is released to help regulate the skin’s temperature and also keep skin naturally moisturised and healthy. They are also home to hair follicles. The skin has pores all over its surface, but they are often more prominent on the face because the sebaceous (oil) glands are largest here. Pores can sometimes get clogged up with dirt, makeup, oil or dead skin cells which is what causes acne. Therefore it’s important to keep skin and pores clean to prevent buildup and, in turn, the dreaded acne! Why is it that some people’s pores appear bigger than others? We each have very different skin so it’s only natural that some people’s pores will appear larger than others. People who have a darker skin tone or olive complexion are more likely to have larger looking pores. It is also linked to skin type and age. For example, if you have oily skin, then the pores are more active and tend to be larger as a result. As we get older, our skin loses elasticity which can also give pores a larger appearance. What do I do to make my pores appear smaller? Unfortunately, it is not possible to physically shrink pores but the good news is, you can make them look smaller than they are which will help give the appearance of smooth and radiant skin. Firstly, it is important to rid your skin of all the things which could potentially clog your pores, leading to a more prominent appearance, including dead skin cells, dirt etc. A good cleansing routine which includes steaming, exfoliation and microdermabrasion can minimise the appearance of pores. We’ve all been guilty of falling asleep with our makeup on but this is a big no-no for those of us in pursuit of radiant skin and perfect pores! Try adopting a double cleanse method in which you use a makeup wipe to remove impurities on the surface and then penetrate deeper by applying a cleanser. Treating your skin to a steam facial (which can easily be done at home) can also help to open pores and release any nasty impurities, leading to clean and soft skin. Our recent post all about ‘How to wash your skin properly’ will help ensure you are cleansing your skin the right, most effective way. We offer a wide range of facial cleanser to suit any particular skin type with toners to compliment. Our Microdermabrasion and resurfacing peeling facials are a safe, controlled treatment that intensely exfoliates and resurfaces the skin and is perfect for congested, uneven skin with open pores – helping to tighten and brighten tired and dull skin. 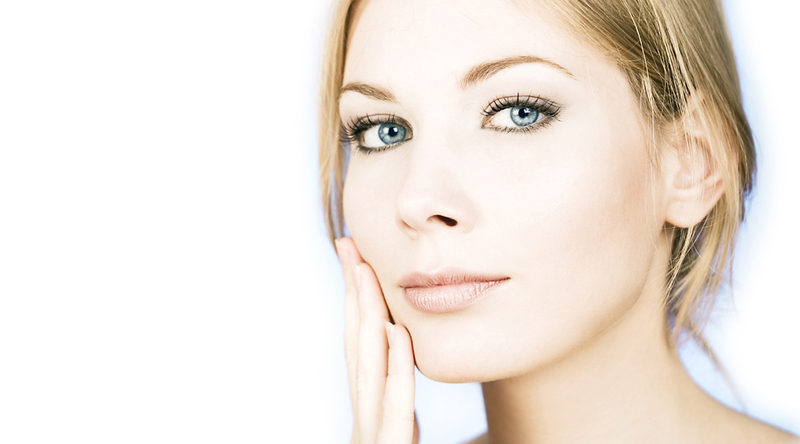 Regular microdermabrasion and resurfacing facials will really help ensure skin and pores appear in tip-top condition. 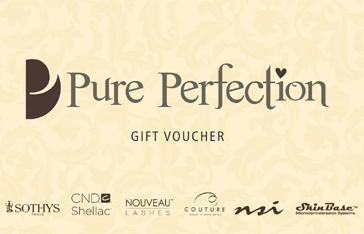 Find out more at your nearest Pure Perfection salon. A little treat for the New Year! 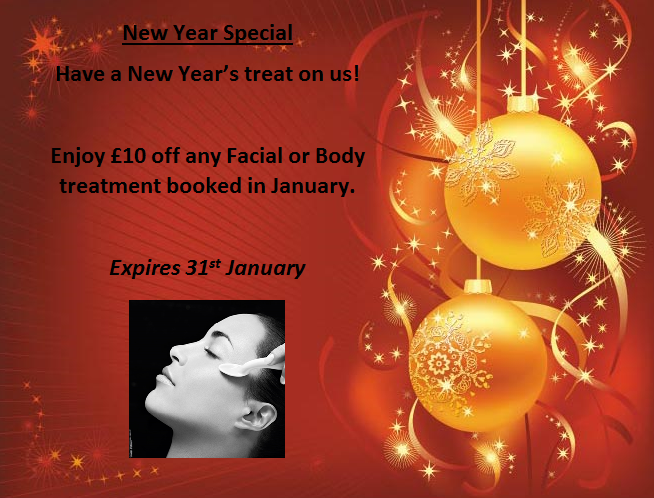 Pamper yourself or a loved one to a relaxing Facial or Body treatment throughout January and receive £10 off! 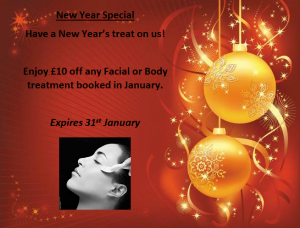 Perfect for after the busy Christmas period, Don’t miss out!